I’ve always held a fascination for storage devices and technologies. Growing up, I amassed quite the collection of so–called “floppy killers”. I’ve even attempted to attach them to my current machines, with varying degrees of success. One class of device I haven’t had much experience with has been the venerable, sequentially accessed tape drive. Commodore Datasettes purchased from eBay aside, I’d always wanted an Iomega Ditto, DLT, Travan or similar drive to mess around with, but could never justify the cost. 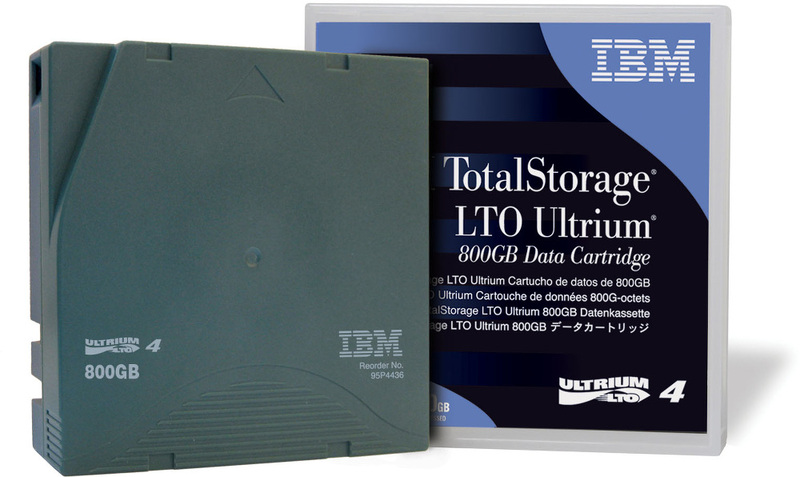 The standard form-factor of LTO technology goes by the name Ultrium, the original version of which was released in 2000 and could hold 100 GB of data in a rather lovely cartridge. Released in 2012, LTO-6 can hold 2.5 TB in a cartridge of the same size. LTO has gone through six generations, each with increasing capacity, features and physical tape surface. The current standard is LTO-6, which is designed to natively support 2.5 TB. Previous capacities have included 1.5 TB, 800 GB and 400 GB for LTO-5, LTO-4 and LTO-3 respectfully. Unsurprisingly, LTO drives and cartridges are marketed squarely at the enterprise. Still, there appears to be a small but growing chorus of people interested in the technology for personal or small business backup, particularly in the realm of video. Some of the best discussion I’ve read has come from Final Cut Pro gurus like Sal Guarisco and Larry Jordan. For my own needs, I’ve identified large amounts of amassed data which never change. Archived photos and video, media acquired from certain places, completed projects. I have redundant backups on several hard drives, but spinning platters worry me. The idea of a tape with a 15–20 year life span is really quite appealing. Alas, as you would expect, the cost of the drives is the real killer. While the per–gigabyte cost of tapes is still cheaper than what you’d pay for a couple of spinning platters, you would need to purchase a great deal of them to offset the cost of the drive. There’s also the concern over what interconnect we would need, and what operating systems their vendors would support. It seems, at least for now, tape drives will just remain an interesting idea. LTO-4 drive images from International Business Machines Corporation 2013 and the Hewlett-Packard Company 2014.